Children in Need 2018 will be broadcast on the BBC at 7.30pm on Friday November 16 - but when did it all begin and why is Pudsey the bear named after a Leeds town? Up there with Winnie the Pooh, Paddington and Rupert, an iconic bright yellow bear with a polka-dotted eye bandage has been a beloved British character for more than 30 years. For decades he has been at the forefront of one of the largest annual charity fundraising events in the UK. Is Pudsey bear from Leeds? In a light-bulb moment during a creative meeting in 1985, graphic designer Joanna Lane hit upon the idea that a teddy bear would be a perfect logo for the child-focused charity. The designer felt it was important to give the new mascot a name, and looked back to her own roots to give the teddy his identity. 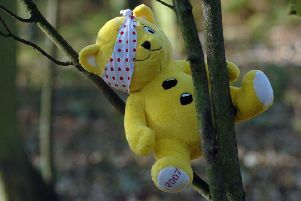 Named Pudsey, in honour of both Lane’s West Yorkshire hometown and her grandparents, the lovable character proved an instant hit. “He proved to be very popular, and returned as the BBC Children in Need’s official logo the following year, with his design amended to that of a yellow bear with a red spotted bandage,” explains Gareth Hydes, Director of Content at BBC Children in Need. When did Children in Need start? The BBC’s fundraising efforts for Children in Need date back as far as 1927, when the first ever broadcast appeal was debuted, in a five minute-long radio transmission on Christmas Day. The initial response was positive, and £1,143 was raised – the equivalent of more than £64,000 today. As the charity grew, its fundraising efforts became more ambitious. In 1980, the first Children in Need telethon was broadcast, thrusting the charity into the limelight. 101-year-old woman told she has two days to move out of failing care home, family says. A re-brand was in order, as the charity’s status grew, and when the task of reinventing the logo fell to the BBC’s design department, inspiration struck in the form of a cuddly teddy bear. How much does Children in Need raise? 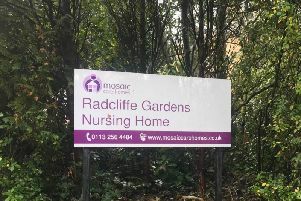 the charity, which has been used to support children and young people facing difficulties like living in poverty, being disabled or ill, or experiencing distress, neglect or trauma. Last year more than £60million was raised and the hope is that 2018 will be the same. Elton John Farewell Yellow Brick Road Tour: When do tickets go on sale for the Leeds First Direct Arena and how much are they?